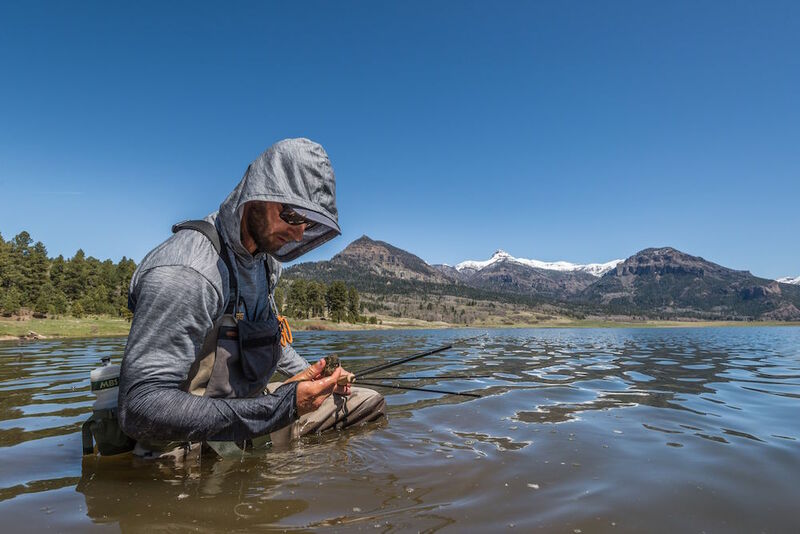 Voormi is continuing to expand into different sectors of the fly fishing market, now (for the first time) taking their wool-based product into a flats-fishing environment. I know, right? Flats clothes made out of wool? The thing is, it actually makes sense. Voormi’s wool-synthetic blend, according to founder Dan English, is woven in such a way that the wool fibers themselves cannot really shrink. This lets Voormi minimize the thickness of the fabric without worrying about making dog sweaters once they come out of the wash. The result of this ability is the lightest-weight wool technical fabric ever woven. It’s an extremely comfortable textile, and works very well for those long days on the water. I’ve used the River Run Hoody a handful of times now, and I do have some observations. One, the fabric never takes on odor, but it does have an odor itself. In other words, it won’t smell like B.O. almost no matter what, but if it gets hot, it smells like wool! It’s not an unpleasant aroma but I did notice it. Second, they’re right in claiming that it won’t shrink, but there are a few touches which will likely get revised as the product line goes through more iterations. The neckline is a bit open for real sun protection, giving you the option of either wearing a Buff or (as I did) sewing on a simple closure to let you pin up the hood a bit. I’d like to see Voormi add a snap there. Where the River Run is really truly going to shine is as a layering option for those transitional days between late summer and fall. With a light shell over the top, the wool material does a very good job of holding heat and wears warmer than its extremely light weight. Perfect for early foggy mornings. But when the sun starts to bake overhead in, say, early September, you can still pull the shell off, letting the fabric breathe. Presto; suddenly you’re cool as well as protected from the sun. The last thing I will say is that Voormi nailed the cut. I was extremely disappointed to get in my 2016 sun hoody from the company I usually buy from, only to learn that the sizing has been expanded way out of proportion. 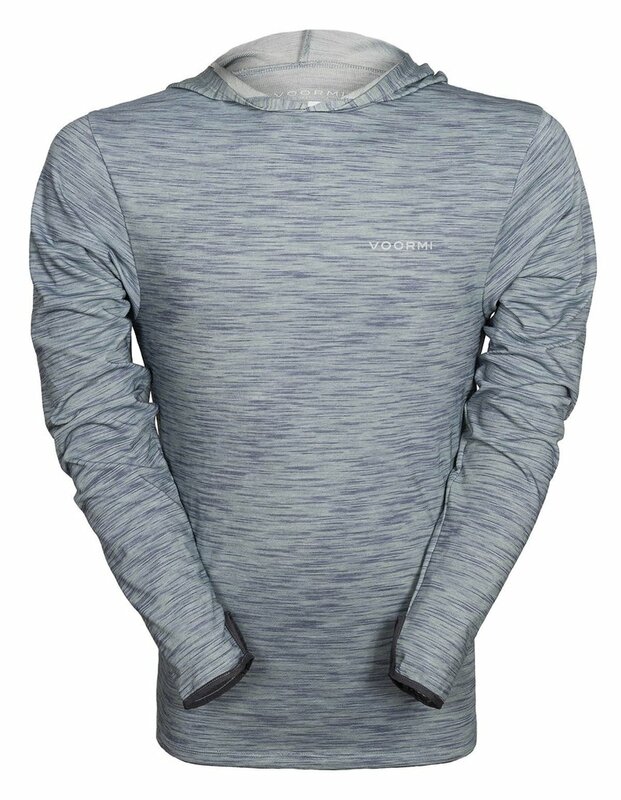 I don’t know if this was a one-time issue or not, but the Voormi sun hoody is exactly true to size; loose and lightweight without feeling like you’re wearing a bed sheet. The organic texture also has a lot nicer hand feel than those super-slick, shiny synthetics you see everywhere, which wear like a trash bag. Price: $129 (wool’s expensive, y’all). One Response to "Voormi River Run Hoodie"
I had been looking for something such as this item for my endurance hike coming up in June. The only issue was trying to find it in stock. Thankfully the staff at Vroomi notified me when it was available and I ordered one. Can say without a doubt I am not disappointed one bit! This is quality, light weight and great at wicking sweat away from the body. Nice article and great review.